As any field grows in size and complexity, fragmentation and specialization inevitably happens. When orchestras first evolved there wasn’t any need to make a differentiation between an early music orchestra or a new music orchestra. Early Music ensembles (or Historically Informed Performance ensembles as we now often call them) couldn’t exist since the repertoire was also at its foundational stages–in fact, the rep and orchestras co-evolved and constantly fed back on one another. All the music was new music. As repertoire accrued and the orchestra evolved for a while in tandem with it until we got to the point that we started making sharp distinctions between musical historical periods. The Video Game Orchestra of Boston. Founded in 2008. By the latter half of the twentieth century we start to see the specialized orchestras filling in the gaps of the ever narrowing repertoire of the traditional European styled orchestras which were increasingly focusing on a narrow band of repertoire spanning the late classical era to the early modern era (roughly 1800-1950). New music ensembles, many composer formed, and early music orchestras as well as ethnic orchestras started their rise to fill in the repertoire and stylistic gaps which the traditional European styled orchestras could never hope to fill. In this century we’re now seeing orchestral projects which are increasingly devoted to very local musical cultures (such as the Go-Go Symphony). Some orchestras are being formed that specialize in repertoire derived from other forms of media like groups doing live music for film (such as the 21st Century Symphony Orchestra and Chorus). 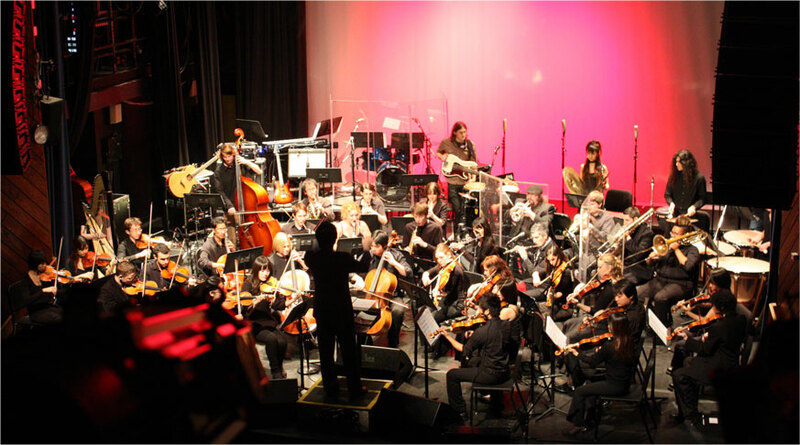 Also, ensembles have been formed which specialize in Video Game Music: Boston’s Video Game Orchestra (founded 2008); University of Maryland’s Gamer Symphony Orchestra (founded 2005); UCLA’s Video Game Orchestra and Choir (founded 2013); and BGSU’s Game and Anime Music Ensemble (founded 2007); and local ethnic populations such as the growing number of Bay Area Chinese Orchestras, New York Arabic Orchestra and Chinese Orchestras, and the US Latin-American Orchestras. One of the big ideas for orchestra reform maintains that including film scores and video game music as a regular (if not central) repertoire programming is essential. In many cases, orchestras have been doing things like this for some time, but the standard 1800-1950 Symphonic rep still consists of the bulk of programming. I think the the chances of Symphony Orchestras making either symphonic film or video game music scores regular programming very low, and probably for good reason. and brought me back to an idea that I had floated in another of your posts … WHY do Western orchestras feel that it is even their place to be all things to all people? I mean, if these other classical traditions are as complex as the Western one (which they are), then how the hell can a Western-trained orchestra do that music justice and serve those populations a tenth as well as they can serve themselves? The question, “WHY do Western orchestras feel that it is even their place to be all things to all people?”, is the important one here. The idea that more populist forms of ‘symphonic’ writing (film and video game scores) is one way to draw in a bigger and younger crowd implies that the bigger and younger crowd is relatively homogeneous and couldn’t be convinced to come to a typical symphonic concert. The other implication, since the populist drive tends to typify values and composers which are predominantly white and male (i.e. the prototypical privileged class of the US), then this simply reinforces the power structures already in place in the predominantly white and male composer repertoire of European styled orchestras. The former idea belittles the ability of audiences who aren’t already orchestra audiences to comprehend the standard repertoire while the latter marginalizes repertoire which wouldn’t fit into the already existing privileged class of composers which just happen to be working in a medium which owes a great debt to the traditional repertoire of orchestras and the Western Classical Music tradition. As long as we continue to think of European styled orchestras in the role of performing the height of human musical achievement, rather than as an historical accident that evolved from a specific era of US history tied to a pan-ethnic group (i.e. Europeans) of immigrants then this “new model” of orchestras is simply more of the same ole same ole. Let’s celebrate the orchestras for what they are–a specialized ensemble performing a specific set of repertoire and let those who want something different create it anew. That’s what’s happening anyway with the formation of new music groups, early music groups, Arabic, Traditional Chinese, and Latin-American Orchestras, Go-Go Symphonies, Film Score and Video Game Score Symphonies–and they can stand along side of the European styled symphonies to show not only the diversity and vitality of audiences, but also of the forms of art music. After all, “Western orchestras” can’t be all things to all people, and neither should they aspire to be. I actually just had a conversation with someone about changing the thinking of orchestras and operas to being living cultural heritage for a mainly European group, and those that have used that cultural heritage as their chosen form of musical expression. Taking that attitude completely changes how we think of the groups. And while some complain that symphonies and operas have become museums, maybe those groups should look to museums to see how living cultural heritage is treated. Taking that line of thought doesn’t make it inaccessible anymore than the Islamic Art collection at the Pergamon museum is, or MoMA in NYC or Berlinische Galerie Museum fur Moderne Kunst in Berlin is inaccessible. But it’s about accepting what they are, and focusing on that. We have a definite self-image problem in music. And it’s important to remember that the music is living and continuing to evolve. But I won’t beat that dead horse here. Right–I think if the field would recenter their focus on their core missions–and acknowledge that the core mission is a very specific one rather than a populist one, which is impossible to achieve anyway, then maybe they can start focusing their energies into preservation and curation–exactly as museums do (or at least did–since some of this populist push is starting to creep into museums too, sadly).